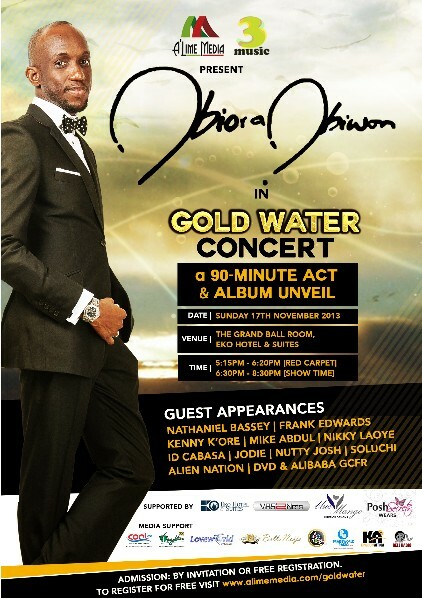 Gold Water will be launched with a 90-minute Concert on Sunday November 17th, 2013 at the Grand Ball Room of Eko Hotel & Suites, Lagos by 5pm. Guest appearances will be made by Nathaniel Bassey, Frank Edwards, Kenny K’ore, Mike Abdul, Nikki Laoye, ID Cabasa, Jodie, Soluchi, DVD, Alien Nation, Tochi, Victoria amongst others, with a special guest appearance by AliBaba King of Nigerian Comedy. Obiwon marked a season of new beginnings and greater heights earlier this year as he was honoured by the National Gospel Awards as Best Crossover Artist, his first ever award in the genre. He is also nominated for two awards at the upcoming Nigerian Gospel Music Awards. Obiora Obiwon announced a full-time gospel music ministry in 2008, following through in 2009 with his sophomore and first gospel album “The Rebirth”. Since then he has consistently impacted the events and gospel music scene with a new sound and “The Rebirth Band”. The sophomore album became noted for the praise song “F.a.t.h.e.r” and mostly for producing the hit wedding anthem “Obi Mu O”. His 2006 debut “Overture” previously produced the classic ballad “Onyinye”, garnering vocal performance awards at the Nigerian Music Awards and the acclaimed HipHop World Awards both in 2007. Subsequently the R’n’B-singer-turned-urban-gospel-minister also received honours at the 2013 National Gospel Awards for his crossover act, an indication of the growing acceptance of his faith-based transition. He has currently been nominated for Best collaboration and Best Indigenous song for the Nigerian Gospel Music Awards 2013. After a 4-year major release hiatus, Obiora Obiwon returns in 2013 with a techno-infused HipHop song entitled “Testify”. 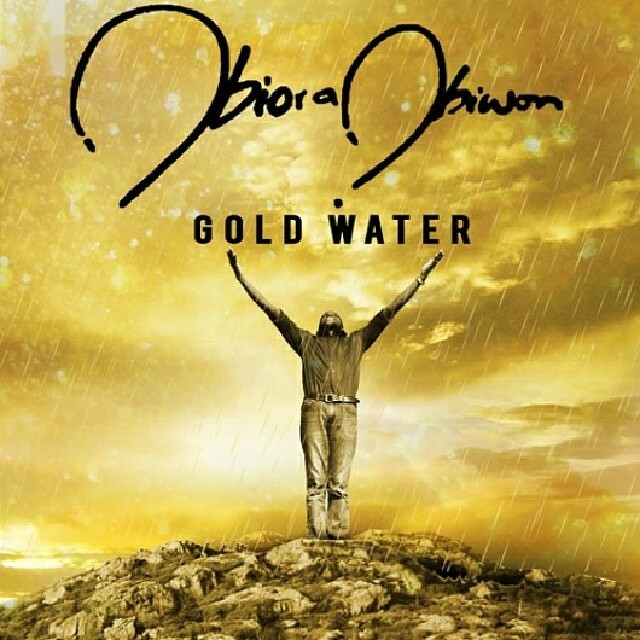 The up-tempo praise record blazes the trail for the release of a long awaited third album, entitled “Gold Water”.